When it's time to head out after your favorite quarry or hit the clays course in your UTV, you can safely carry two firearms when outfitted with this innovative accessory. Just add a couple of Kolpin gun boots (not included) and you are ready! 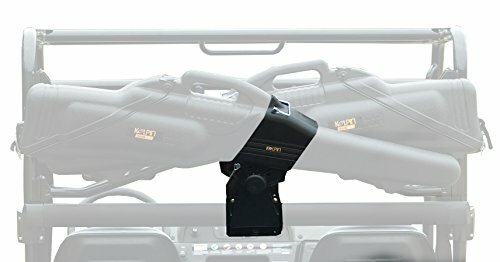 Unique mount provides a snug and secure fit - no need to worry about your valuable firearms and optics getting jostled in the bed or your UTV when traveling over rough trails. Accepts two Gun Boot IV's or Gun Boot 6.0's (not included).